How Will We Get A Man Of The Match v ‘Boro? 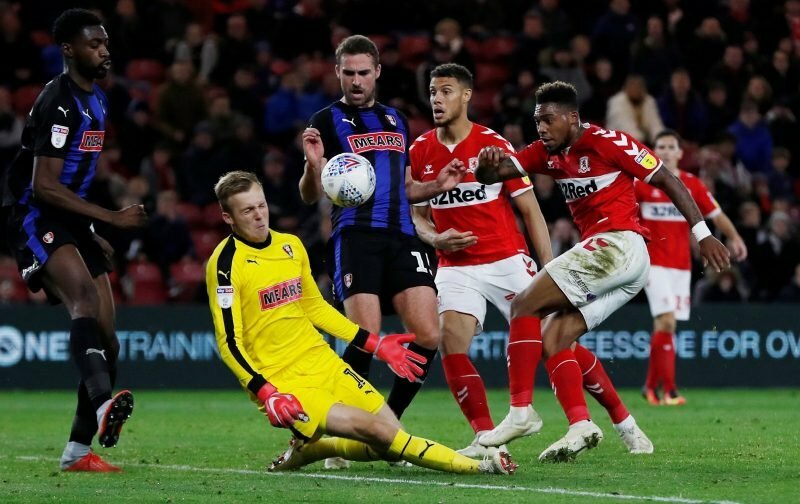 Rotherham United might not have scored on Tuesday night but they did keep a clean sheet away at top of the table Middlesbrough. And, if we are being honest, who actually thought we’d come away with a nil-nil draw? I know a lot of people coming out of the ground on Saturday were definitely NOT expecting that! It was Paul Warne’s one hundredth game in charge. We got our first away point of the season. Yes, these do mean something but it was the way those lads went out and played that means more. We hustled and bustled, we attacked from both flanks, we defended as one. It was definitely a team effort. Can we actually pick out a Man of the Match? Marek Rodak kept us in the game with a couple of good saves and, for the most, commanded his area. Our defence were magnificent with Semi Ajayi just doing what Semi Ajayi does and is mighty good at. Clark Robertson came back in the side after injury and played his part very well. Michael Smith was everywhere on the pitch on Tuesday night from getting crosses into the box to getting on the nerves of the Middlesbrough defence to being a make-shift defender for the Millers. Ryan Williams often had three opposition players around him and just as often broke through them to send someone on their way. Time and again Richie Towell took the ball off an opponent in the middle of the pitch while stopping the ‘Boro players getting into a position to shoot. Ryan Manning annoyed his marker by getting past him. Zak Vyner, Kyle Vassell, Joe Mattock, Will Vaulks and Ben Wiles when he came on gave good accounts of themselves. It will be difficult, I think, finding a Millers Man of the Match for this game.